Paul had been told to contact Tahiti’s Ministry of Agriculture to clear Howie into their country. Another cruiser with a cat on board assured us this was just a formality, a simple phone call. 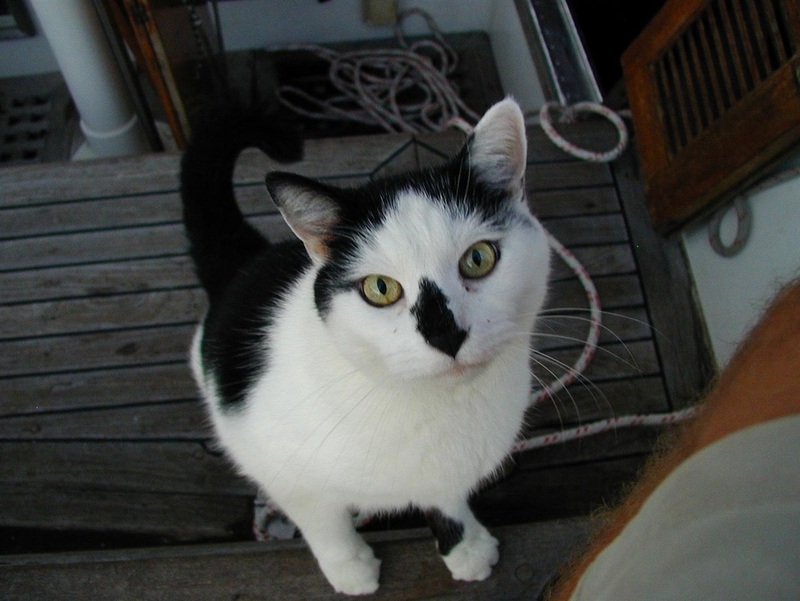 We were thus surprised when the official government veterinarian, a French woman, said that she’d like to come aboard and personally inspect our cat. 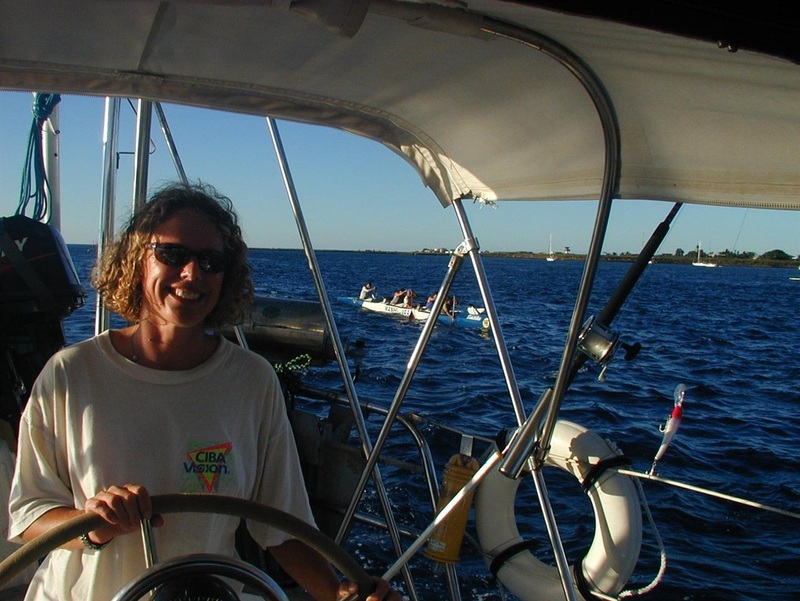 Kelly steers Rosie towards the anchorage in Tahiti. The strong men in the canoe behind us quickly overtake us. Welcome to the Society Islands! Howie is not sure he wants to ride on "le truck. 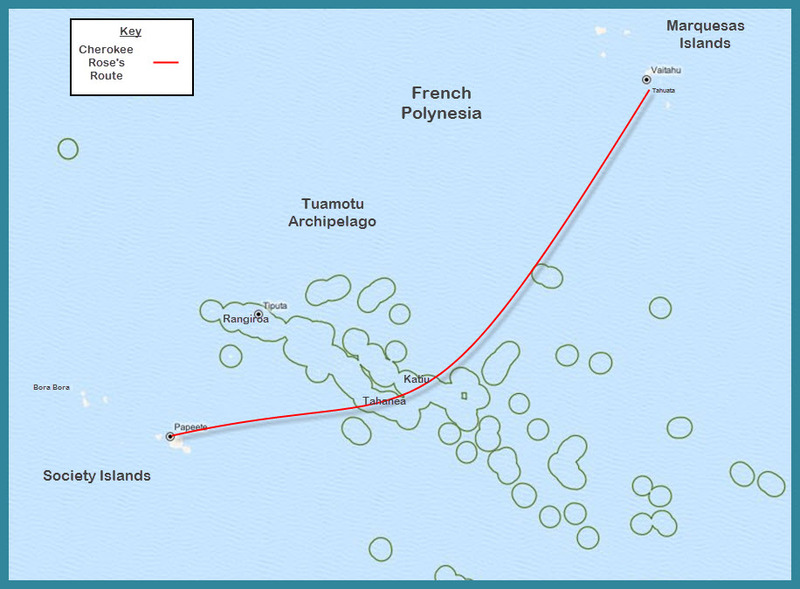 Our route from the Marquesa Islands through the Tuamotu Archipelago to the Society Islands. All of these island groups are part of Fench Polynesia.